Entertaining yourself in Paris on a budget is a snap if you possess a sense of adventure and an eye for the delights that wait just off the beaten path. Take a different perspective of Paris hunting for gargoyles or sample the eye-popping graffiti and street art that equals – or beats – the glitzy art show venues that cost a pretty penny. 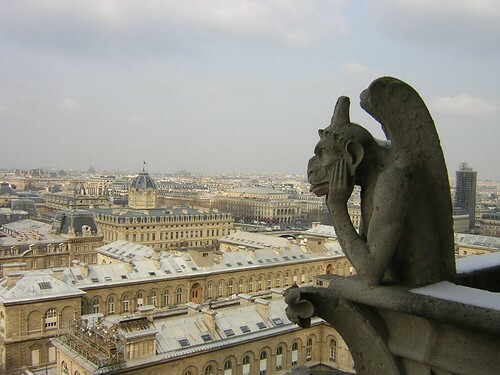 High above the bustling streets of Paris sit thousands of patient gargoyles, silently watching the endless spectacle below. Spotting them from the ground is just the beginning of the fun, figuring out how to get the best angle for a picture to add to your collection presents interesting challenges as well. Note that where gargoyles are present you will usually find a statue of an angel. Local legend claims that the angels took pity on the gargoyles when they fell out of favor with humanity and came to keep them company while they remain in carven captivity. Cataloging your daily adventures in Paris can turn into an adventure all its own with just a little creativity and panache. Write out a daily summary of your unique perspective of Paris for your personal blog or use your digital camera as an excuse to engage people you encounter, snap candid shots of daily life or capture obscure and overlooked beauty. 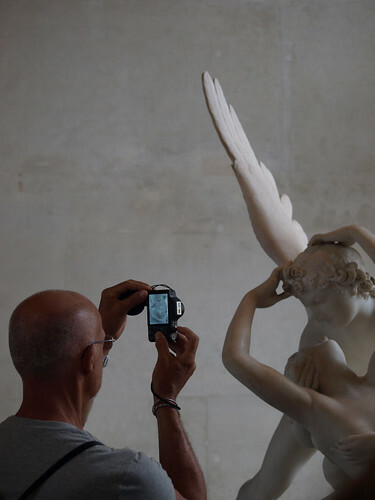 Check around the outside art museums like Le Petit Palais on the Champs-Elysées for available light situations to snap photos of statues since flashes inside are discouraged. Add your digital photos to your online stories or download your favorites onto internet albums like Flickr to share daily pictures of your journey with folks back home or edit them into a video of your most excellent Paris adventure. Huge shopping venues like Galeries Lafayette require no admission but the competition among stores is brisk, so you will find they offer more than mere window shopping to casual passers-by. Simply exhibit the right degree tactful interest and you’ll be inundated with offers to sample products, nibble delicacies, watch fashion shows while sipping champagne or even have experts help you browse their selections to find what type of look works best for you. The chic part is realizing that you can have all that pampering without actually opening your pocketbook. Some argue that the best contemporary art in Paris is not in the galleries but painted on the walls throughout the city. 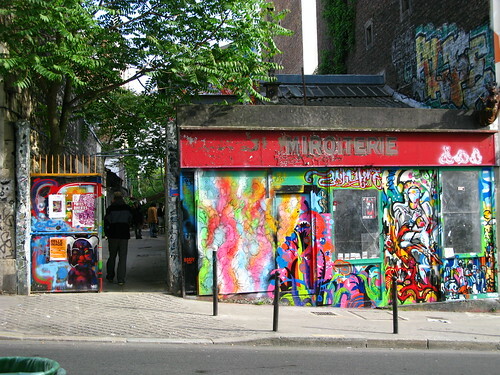 To see the biggest conglomeration of graffiti art, head to the Belleville – Menilmontant section during the day to get an eyeful of the vibrant colors and themes that have made this an art form a reluctantly respected genre. Spooky even in the daytime, the great mausoleums within the Père Lachaise Cemetery become positively eerie as the sun slowly sets over the Seine and city lights begin to fill the night. Just bring along your blanket, a basket of nibbles and maybe a nice bottle of wine and prepare to sit quietly. Resist the urge to chatter or fuss with your phone to experience the full chilling effect of the shadows lengthening behind the tombs and sunset painting the marble headstones in exquisite colors as the shadows deepen. Thanks for these great ideas, Lela! Check out AnyTrip’s competition to win a trip to Paris (ends September 30, 2011) or browse their selection of cheap hotels in Paris.